The Huawei Mate S is expected to be unveiled tomorrow by Huawei in Berlin. If you had asked anyone about the phone two to three weeks ago, you might have been met with a blank stare. But the high-end specs, coupled with some sort of Force Touch variant, has helped the device catch a buzz. Huawei also has put itself into the spotlight since it is rumored to be producing one of two new Nexus branded stock Android handsets this year. The Huawei Mate S is expected to be equipped with a 5.7-inch screen carrying a 1080 x 1920 resolution. That works out to a 386ppi pixel density. A Kirin 935 chipset is under the hood, featuring an octa-core 2.1GHz CPU and the Mali-T628 MP4 GPU. 3GB of RAM is inside along with 64GB of internal storage. A 20MP camera adorns the back of the unit, and an 8MP camera is on the front of the phone, ready to snap selfies and handle video chat. A fingerprint scanner can be found under the camera. Huawei has packed the handset with a 4100mAh battery, and Android 5.1 is pre-installed. Huawei's Emotion 3.1 UI runs on top of Android. A couple of teasers revealed that the phone will have a feature called "Incredible Touch." By using your finger to "draw" the first letter of an application, like "C" for camera, that application will open on the device. We are waiting to see if Force Touch is also included. We should know in just hours. While you wait for the Huawei event to start, feel free to check out the leaked photos of the device found in the slideshow below. Will this ever make it to the America? I think they are slowly surpassing HTC at designing premium aluminum on Android handsets. Yeah, but they should get rid of those inner black bezels, they are making 'em look ugly. For me they are already ahead. Only one thing remaining and its what itsdeepak4u2000 is writing about, not a big deal for me though. So huawei thinks this can complete with note5? 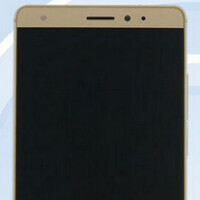 Strange, the source has entirely different specs, Says screen is 5.5 inch with 13MP camera and 2700mah battery. Doesn't sound like Mate, more like P8S. PA is waiting on an invitation to buy one! Screw iphone's design. I feel like a 10 year old kid with a chicco toy whenever I use iphone 6 in the office. Huawei's are more elegant than that cheap looking aluminum phone.